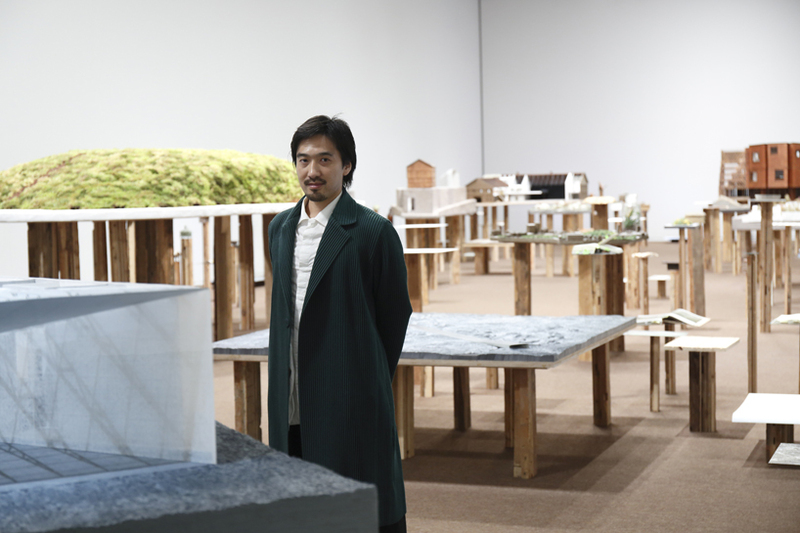 tsuyoshi tane is a widely recognized emerging architect based in france and currently overseeing many projects in various locations in the world. tane, as a co-founder of dorell ghotmeh tane architects (DGT), surprised the world by winning the international design competition for estonian national museum in his twenties and gained much attention again when the museum was completed 10 years later in 2016. in 2012, DGT was selected as one of eleven finalists for the 'new national stadium' japan international design competition (ultimately won by zaha hadid) and their proposal, 'kofun stadium' was widely published in japan and the world. after DGT disbanded in 2017, tane founded atelier tsuyoshi tane architects in paris and is now expanding the sphere of his activities. 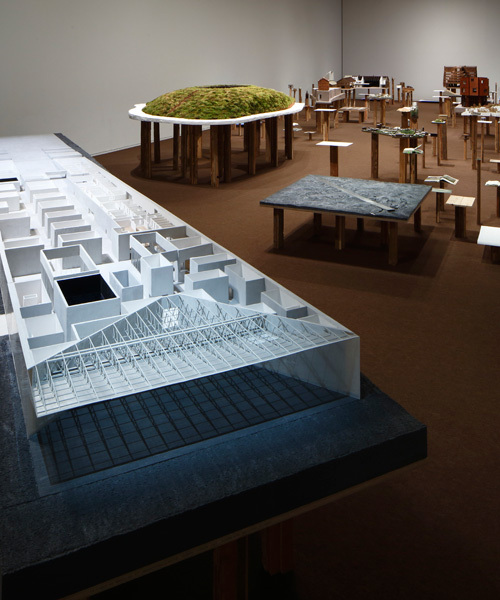 Tokyo Opera City Art Gallery and TOTO GALLERY・MA present two concurrent exhibitions by japanese architect tsuyoshi tane. 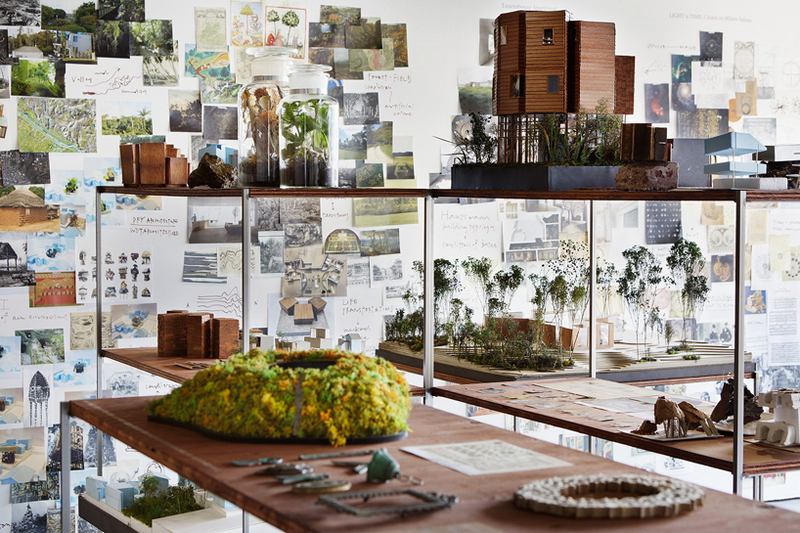 the two shows, united under the common theme of ‘archeology of the future,’ introduce a trajectory of tane’s intensive creative achievements and his challenge of exploring how architecture contributes to creating the future by looking into memories of a place. 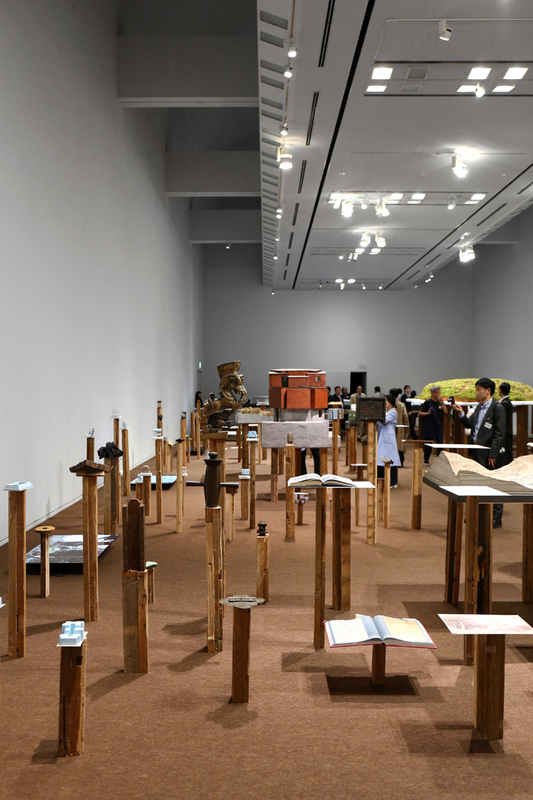 the exhibition at Tokyo Opera City Art Gallery, entitled ‘digging & building,’ introduces tane’s design method of digging and delving into memories of a place and taking a creative leap forward. 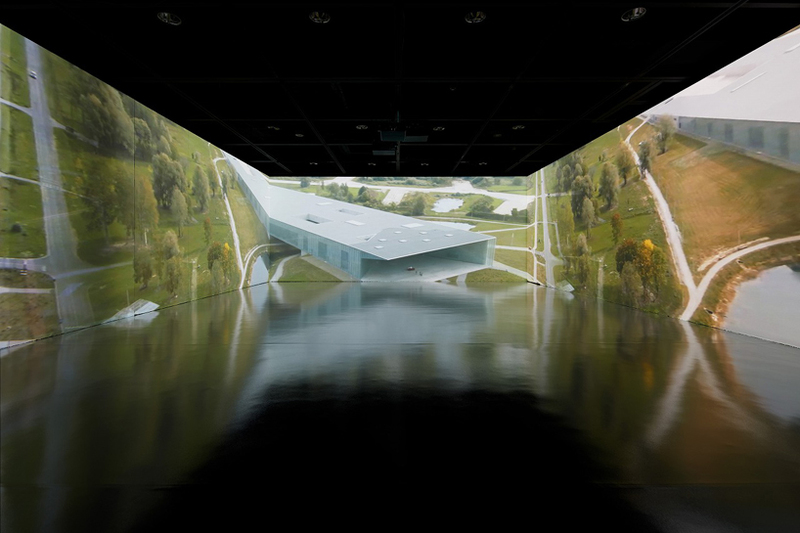 it showcases his representative works created through this method including estonian national museum, kofun stadium and his latest projects using a variety of media including large-sized models and moving images in such a way that it appeal to viewers’ physical senses. 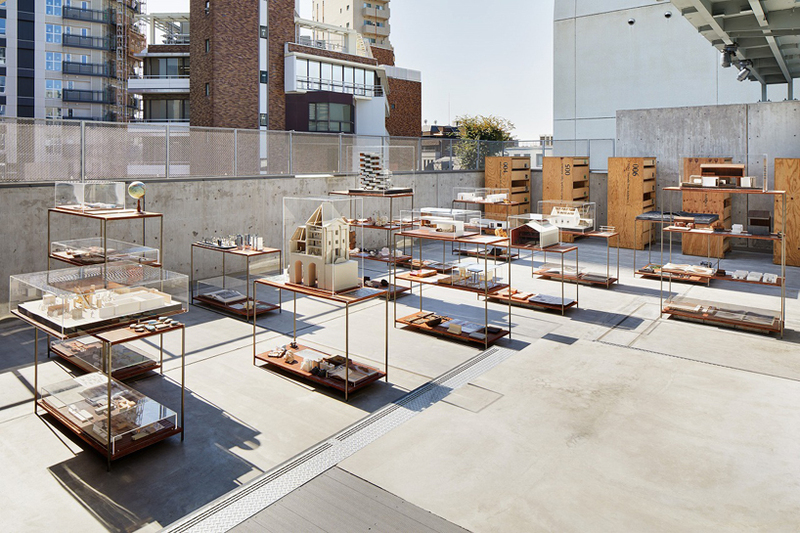 meanwhile the exhibition at TOTO GALLERY・MA entitled ‘search and research‘ introduces the processes of tane’s architectural thinking and speculation and presents a methodology of ‘archeological research’ applied to all his projects. 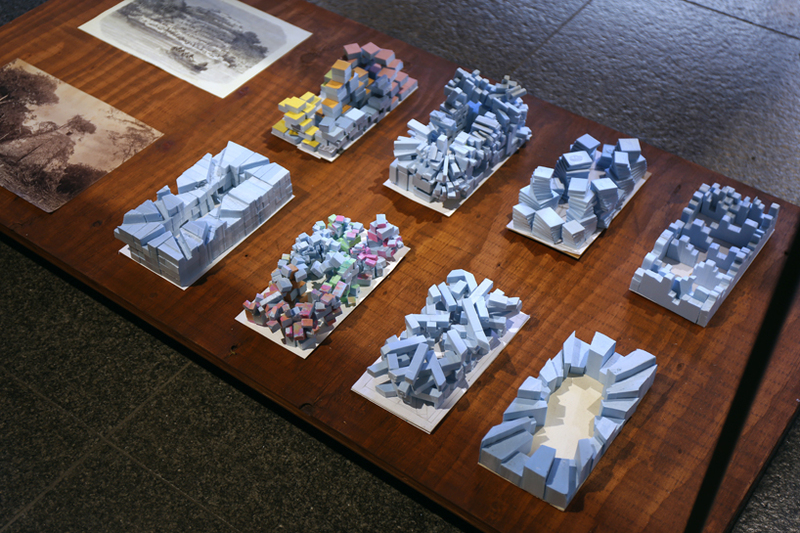 these two exhibitions aim to present a comprehensive view of tane’s processes of search/research: viewers can examine the implementation of this process through which tane analyzes memories of a place from different angles to establish new perspectives and develops his ideas into architecture leading to the future. memory influences the present and creates the future — tane’s creative achievements based on this belief invite each one of us, who is responsible for the present and future of our cities, to think about the potential, mission, and future possibilities of architecture. 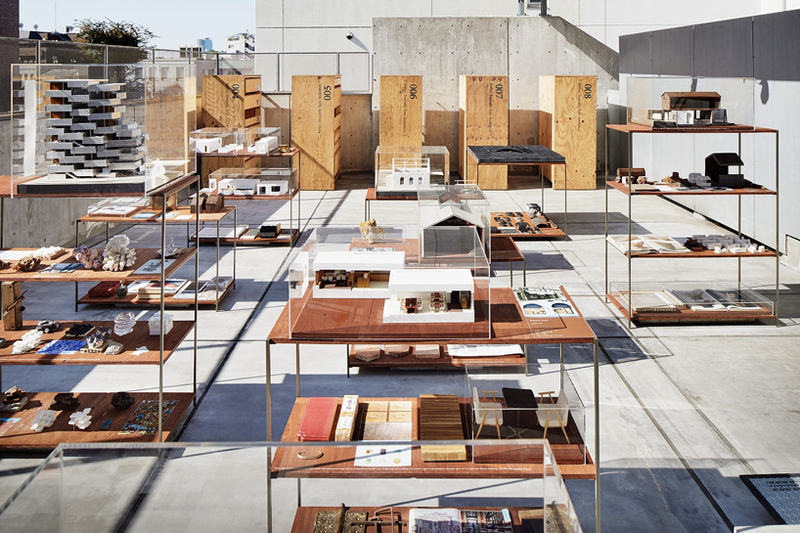 designboom spoke with tsuyoshi tane, founder of atelier tsuyoshi tane architects, at the tokyo city exhibition to uncover the spirit of the two shows and their relationship to each other. designboom (DB): the two exhibitions have the theme ‘archaeology of the future’. can you explain what this phrase means to you? 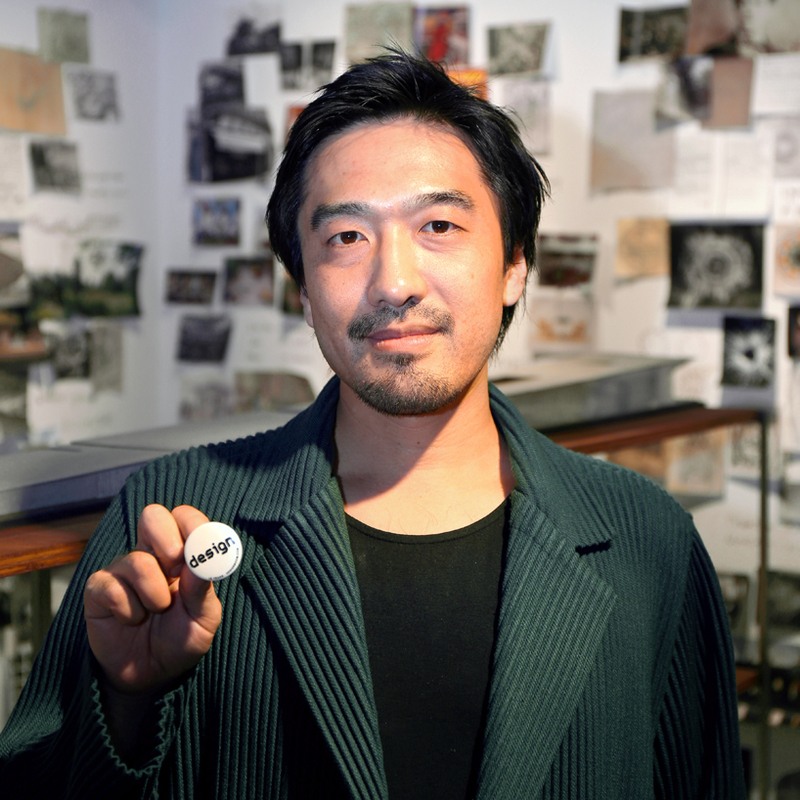 tsuyoshi tane (TT): ‘archeology of the future’ is our manifesto — we’ve been experiencing in our everyday professional lives that things are continuously being newly designed, newly projected, newly developed. our team has felt that this constant renewal is no longer so promising for our future. when I first became an architect, in the design of our project, instead of attempting to make something new, we tried to excavate the memory of what had been. there are places that have memories that are almost forgotten or have even disappeared. but I avoided this idea of trying to transform a place to push for the future. instead, aiming toward stronger, longer, more durable architecture. that is what we’re trying to express in this type of formal execution, and what provides us with one manifesto between two exhibitions. 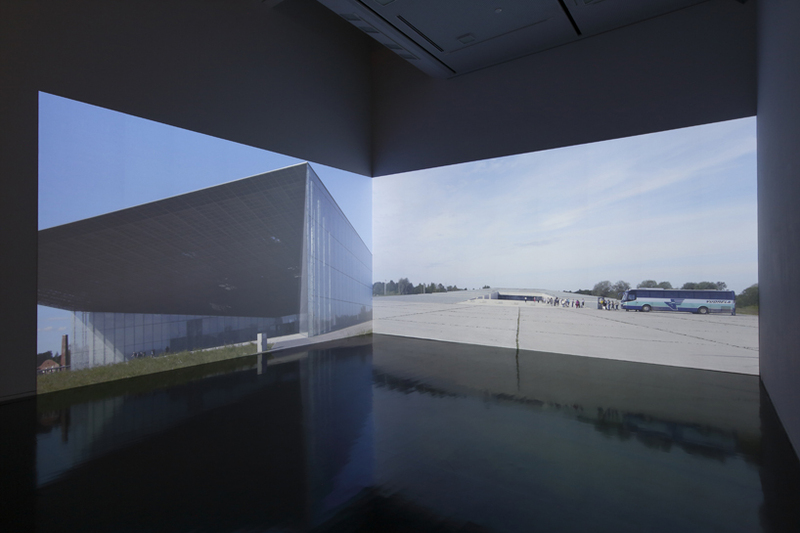 DB: how do the two exhibitions compare and how do they convey your work? TT: this was challenging. 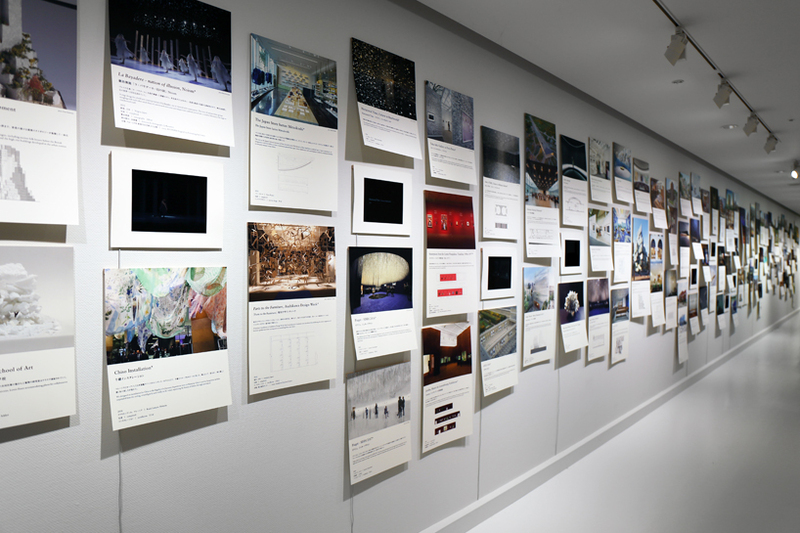 we’ve spent two years of our life preparing this exhibition. of the two galleries, one is dedicated more to the arts and has a greater impact on the general public. the second is oriented more toward the architect and architecture scene. although the two are very different, viewers can visit and enjoy both. 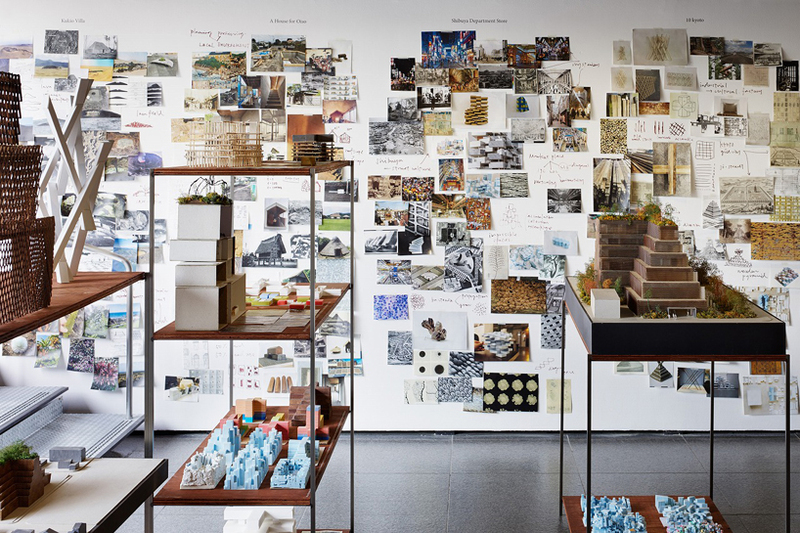 to ensure that the two experiences remained cohesive, ‘archeology of the future’, subtitled: ‘the digging of building’ became the single encompassing theme. 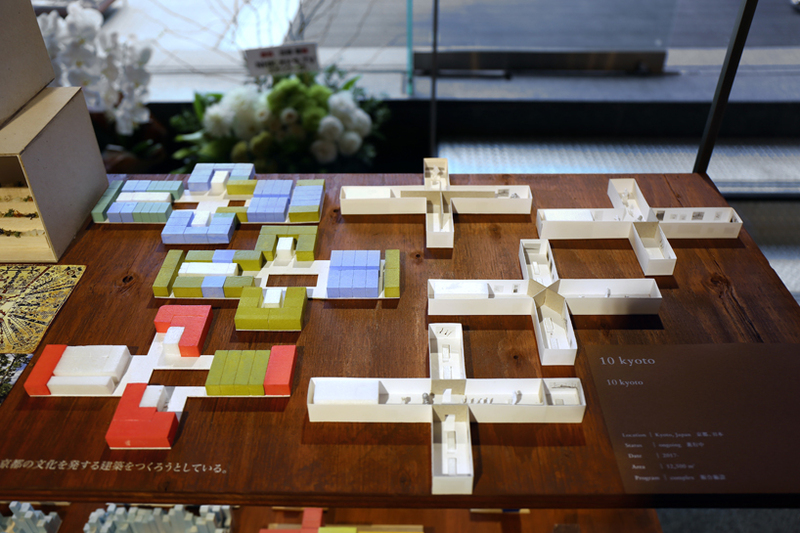 we presented the exhibition in opera city to engage our challenging concept and convey this idea of digging both the memory as well as the idea of architecture. the show expresses how we conduct research and how we understand our memories. 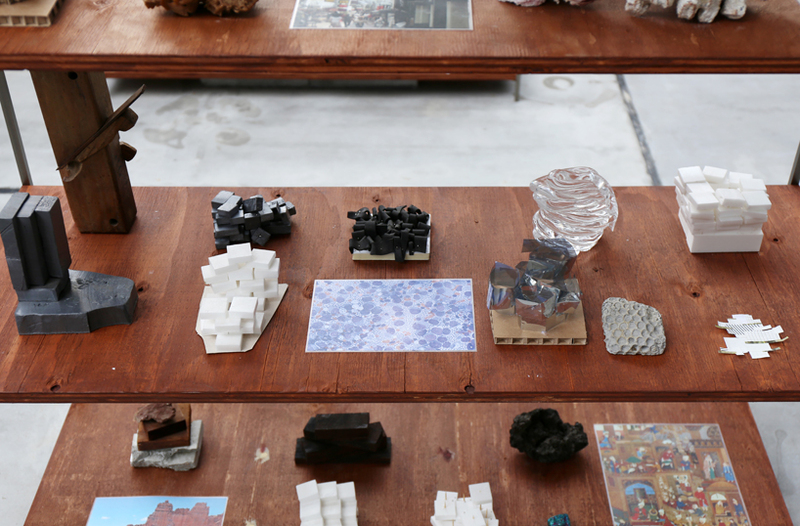 this idea further alludes to the physical process of construction. ‘digging and building’ becomes a continuation of our concept formalized into architecture. that’s what connects archeology and architecture. 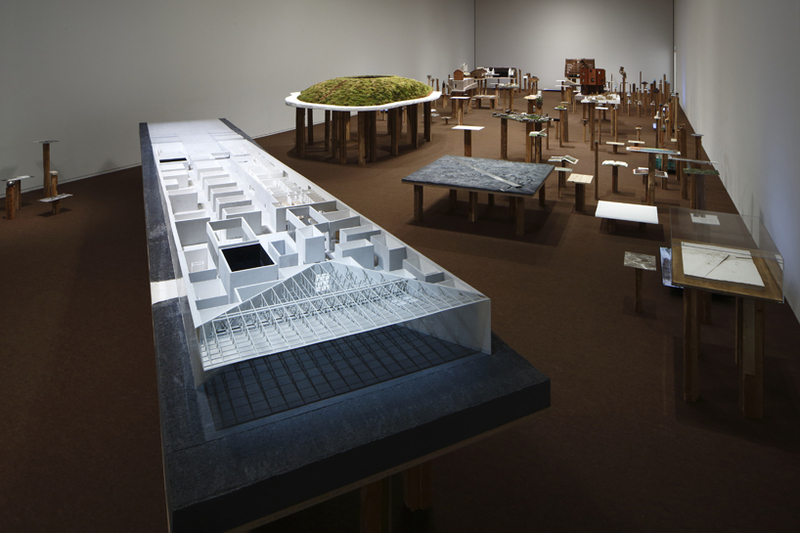 you will see the exhibition spaces resemble unfinished archeological sites. 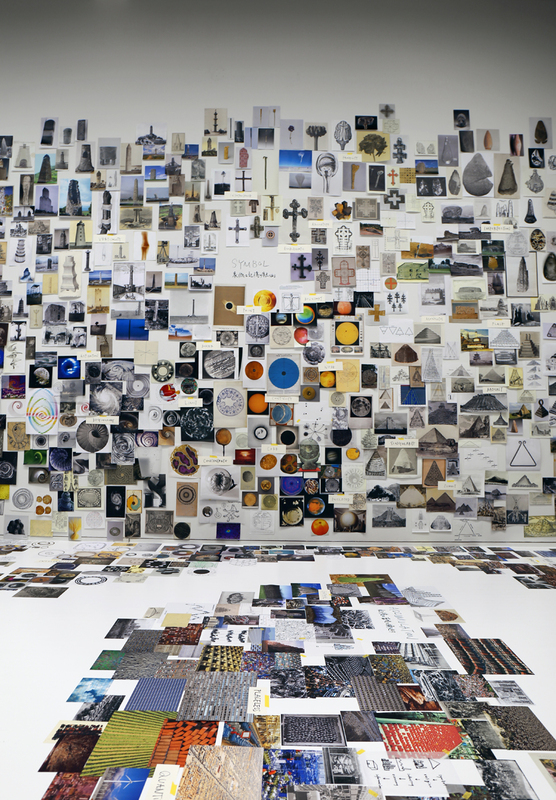 one might gaze across each object and realize that without each individual part, it is impossible to construct the project as a whole. 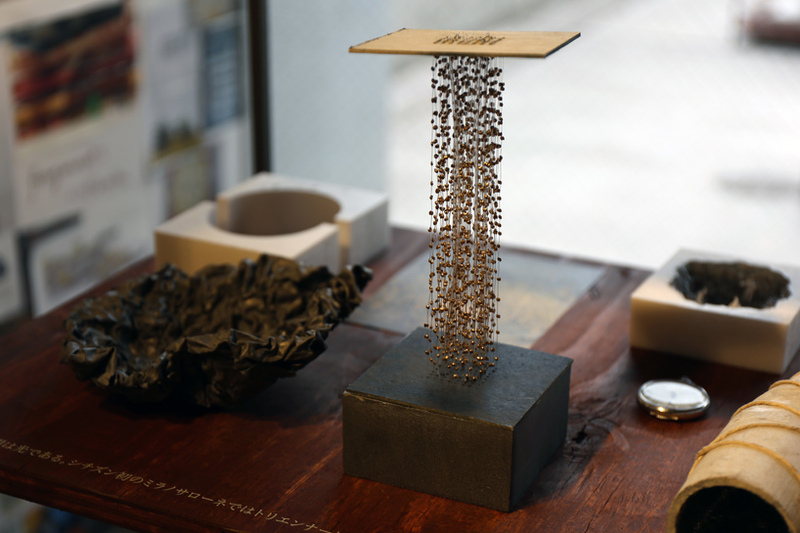 TT (continued): the exhibit at TOTO GALLERY・MA is called ‘search and research’ as we are not always sure what we are doing and we won’t know until it’s been built. it is an honest way to show how we work everyday in our office, reproducing our process of searching, thinking, and experimenting to see what we are trying to achieve by doing it. so we are trying to express how we work through models, testing objects, materiality, textures, and sketches. how we work is a mess of everything and architects are able to read this kind of complex information. it is very complex, but then I am trusting visitors to be able to imagine and make connections. 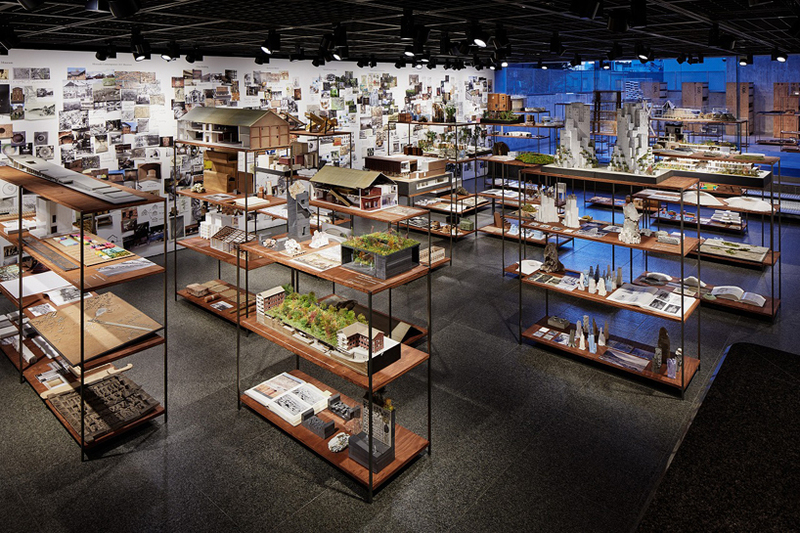 DB: how can architects connect the history of a place to its future through architecture? TT: when I try to differentiate between history and memory, history refers to selected information that has been arranged by somebody, or many people, that cannot change. 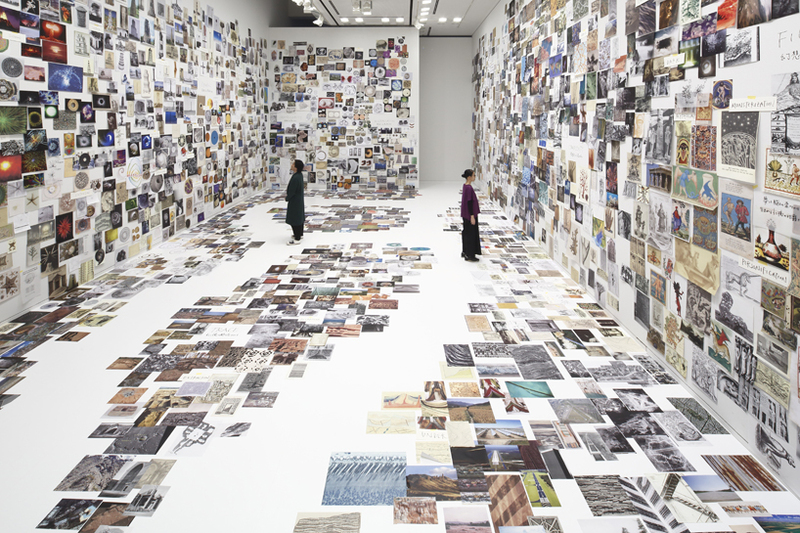 this exhibition refers, rather, to the memory of a place with traces of its history. 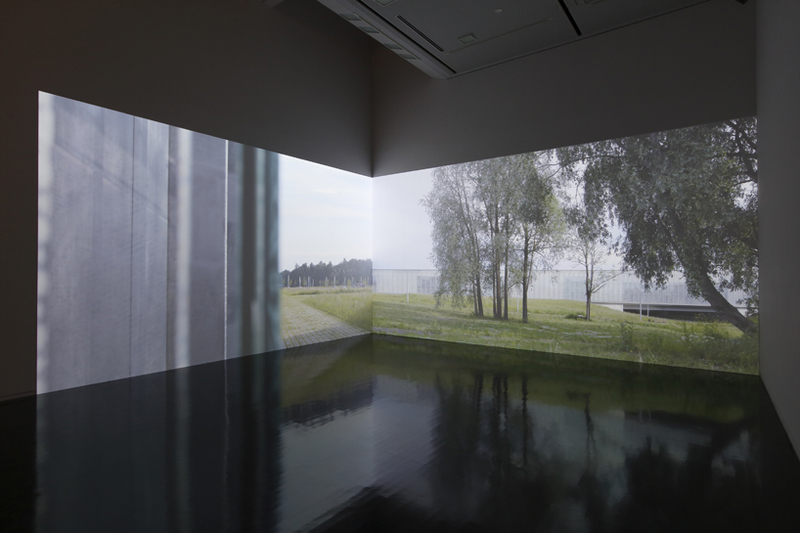 during the two years spent preparing this exhibition, I realized that memory does not belong to the past — memory is rather a driving force that creates something for the future. that’s why we have the knowledge and capacity as human beings to read memories and to connect them with the future. DB: how would you describe the evolution of your work up to now? and how do you hope to progress in the future? TT: I started my architecture career with my winning design for the estonian national museum. it was a surprise but also my starting point to becoming an architect. I went through almost ten years considering the challenges of architecture with this idea of memories — how to create a future. more and more I began to believe that this idea could be meaningful in our contemporary, evolving society. this idea of memories can be a strong gravity toward a different kind of future in which society does not always strive toward modernization alone. DB: how long have you been based in paris? how does the city compare with tokyo, or the other cities you have lived and worked in? TT: it’s been almost twelve years that I have lived in paris, which is my base today, during which time I’d traveled between many other cities so it’s more global. tokyo is one of the cities that I always come back to. it is where I was born and where I grew up until my teenage years. tokyo has such a strong dynamic as it is a very ‘local’ city. it was made by people so it is very organic and complex. it will never be understood in the same way. although the city is very systematic there is a strong element of humanity. it is very mysterious. whereas paris is very strong for many kinds of people, religions, cultures, and politics. everyday I see a mix of human society. I notice these differences by visiting many places. sweden and denmark have also been among my bases when I was 20 years old until I was 25. living in these scandinavian countries during these developing years of my early twenties has given me a deep understanding of nature and life. 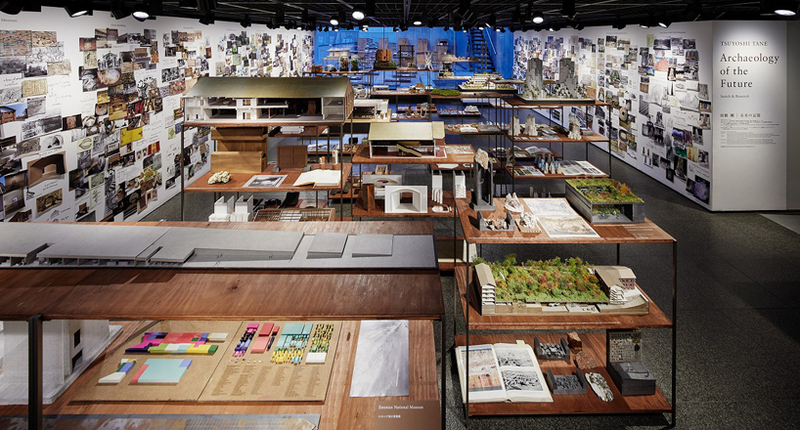 DB: what do you think is the most important role of an architect working today? cooperation: citizen watch co., ltd., japan airlines co., ltd.